Take control and easily optimise your businesses' printing trends to cut costs and your environmental impact. Epson Print Admin is a server-based solution that creates a secure printing, scanning and copying environment through user-authentication with card readers, logins/passwords and PIN codes. It also offers additional features such as 'scan and send to me', user education notifications and enhanced administrative tools that provide welcome boosts to productivity, environmental goals and efficiency. 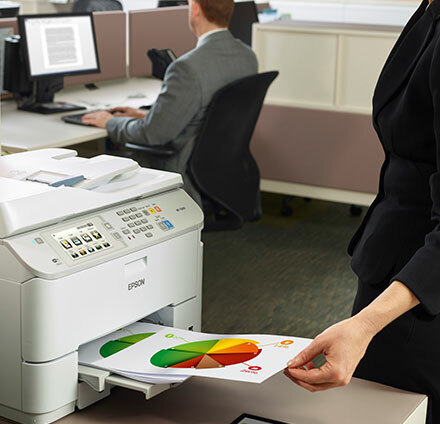 Epson Print Admin includes all the features you need to monitor and cut your print usage, and to make sure that secure or confidential documents aren't left at devices. All the benefits of EPA are yours to enjoy for free – with no time limits – on up to two devices. If you acquire more devices, simply purchase additional licences through EPA's easy-to-understand, easy-to-implement licence scheme. Contact your local Epson reseller for more information. Epson Print Admin’s web-based interface provides advanced print, copy and scan functionality through a single interface. Simple to access and use, it enables you to optimise your fleet quickly. EPA allows for seamless integration into your current IT infrastructure, regardless of whether your system is LDAP-based on not. User profile authentication protects against unauthorised use of your devices, creating a secure printing, scanning and copying environment. Employees are identified using ID cards, typed log-in credentials or a PIN code. Personalise the user interfaces on compatible devices to specific employee profiles so they spend less time looking for the right functions, and more time getting things done. The ‘scan and send to me’ feature, for example, increases productivity by sending an email with the scanned document attached to the authenticated user at the touch of a button. Documents are only printed once the user releases the job at a compatible device. This eliminates the most common cause of print waste – forgetfulness – while simultaneously enhancing security. Notifications can be set up to educate users about responsible printing. That way, you can discourage users from unnecessary or wasteful full-colour printing at the point of print job creation. 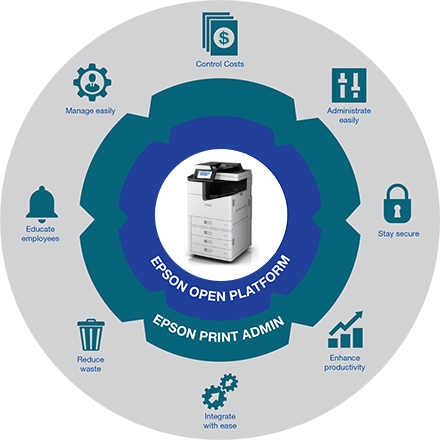 With built-in cost-saving rules that can be activated in seconds – and the ability to create rules specific to your print environment – Epson Print Admin puts you in control. You can even create customised reports to conduct specific analyses, or choose from a wide range of reporting methods to best display your data. 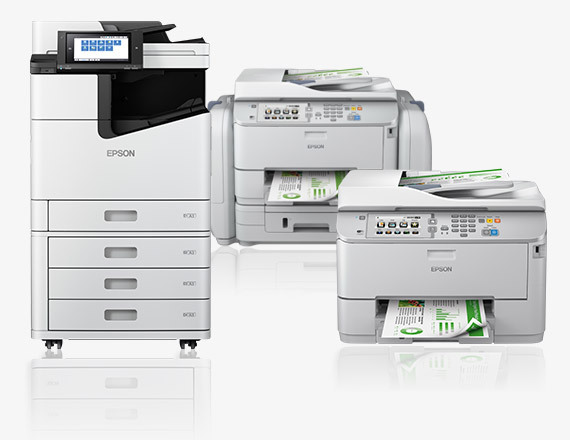 Epson Print Admin has variety of licence options to suit your business. To find out more please contact your local reseller or contact us. Eliminate piles of paper lying around the printers thanks to easy selection of which documents should be printed - documents follow users to the printer eradicating the most common cause of print waste while increasing document security. Every rule can cause a notification to be sent to the print job's owner - this notification is an easy way to educate users about responsible behaviour when printing large documents in colour, for instance. Organisations can track and allocate costs for printing, scanning and copying services by budget centre or by client - EPA tracks and reports on the billing codes entered into the MFP for easy accounting and tracking. Administrators can set up billing codes that enable organisations to manage and track costs by users, departments, projects, and cost centres. Unlock the potential of the WorkForce Enterprise / Pro inkjet range by easily adapting them into web-based enterprise applications and workflows. 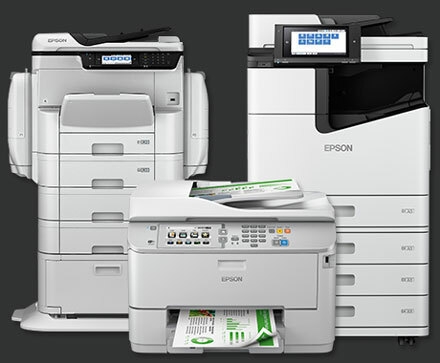 Whether you have a question about Epson Print Admin, or would like to find out more about the compatible models, fill in the below form and a member of our team will contact you shortly. Rules and policies settings can be tailored in Epson Print Admin according to your specific requirements. The percentages are based on Epson estimates that may differ depending on your print habits.